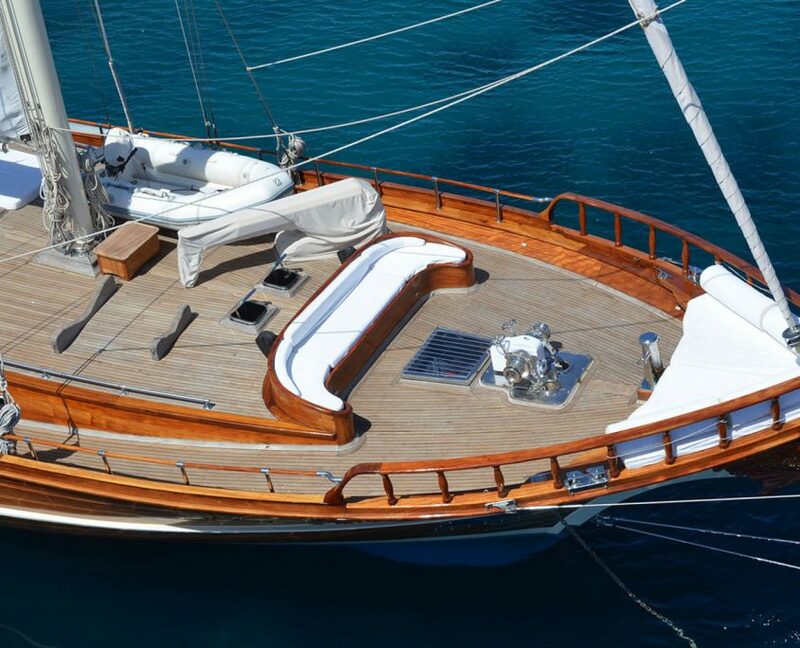 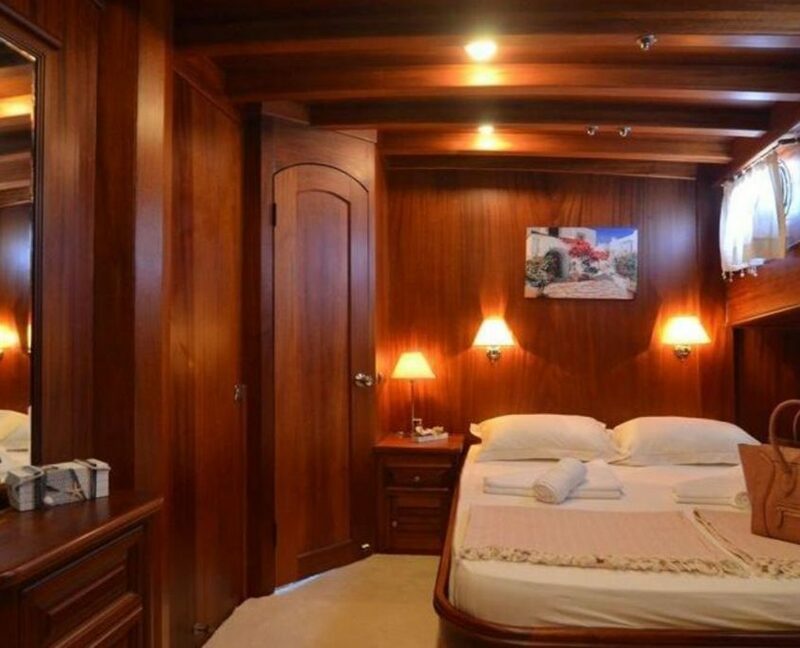 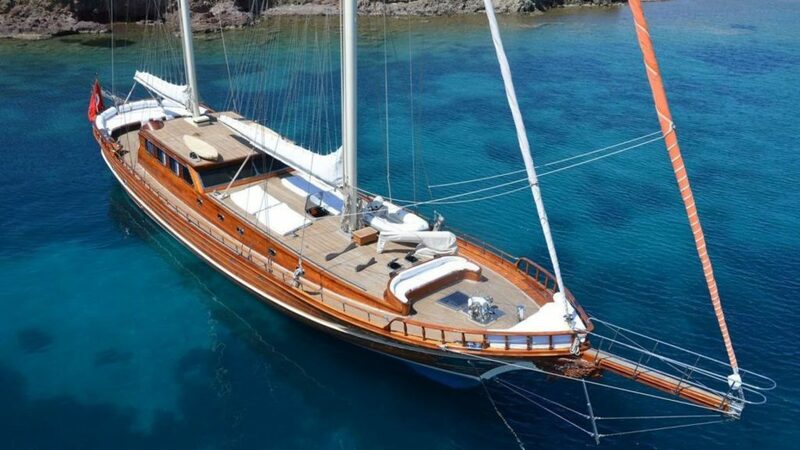 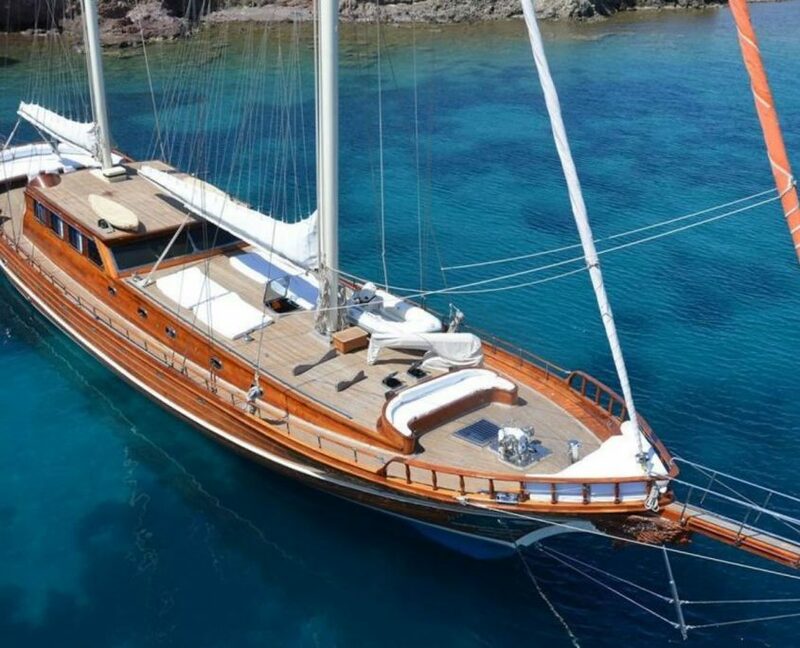 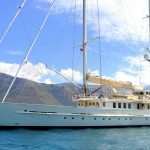 Very comfortable gulet with 4 extremely spacious cabins each with a shower and toilet (shower cubicles at every bathroom). 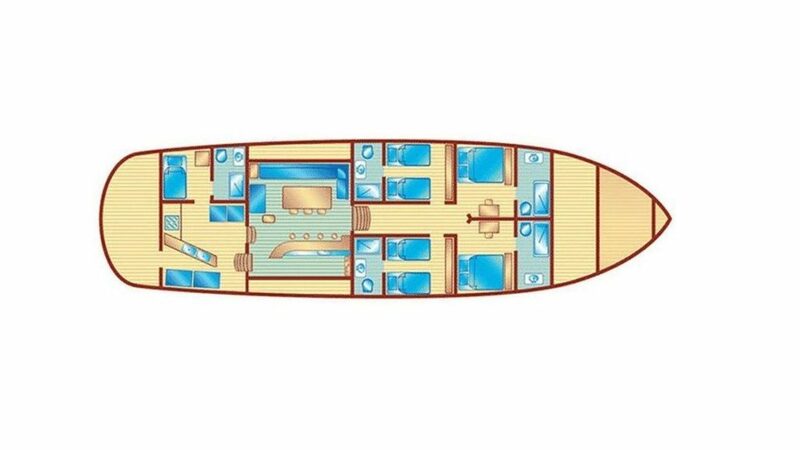 The toilets are electrical flush toilets. 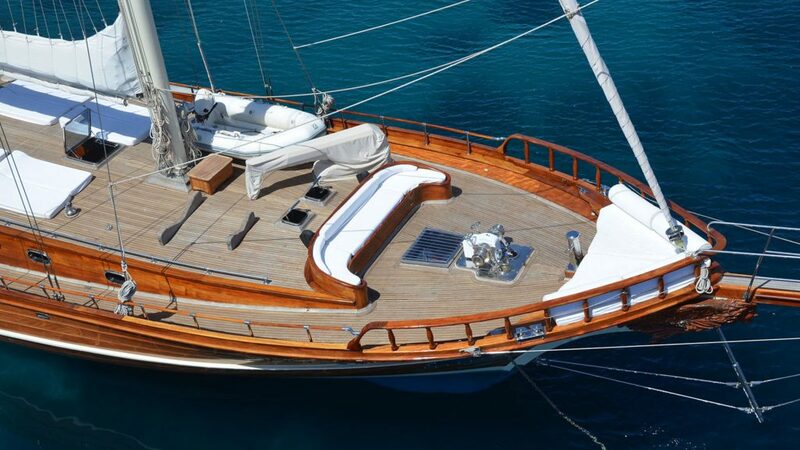 Fully air-conditioned. 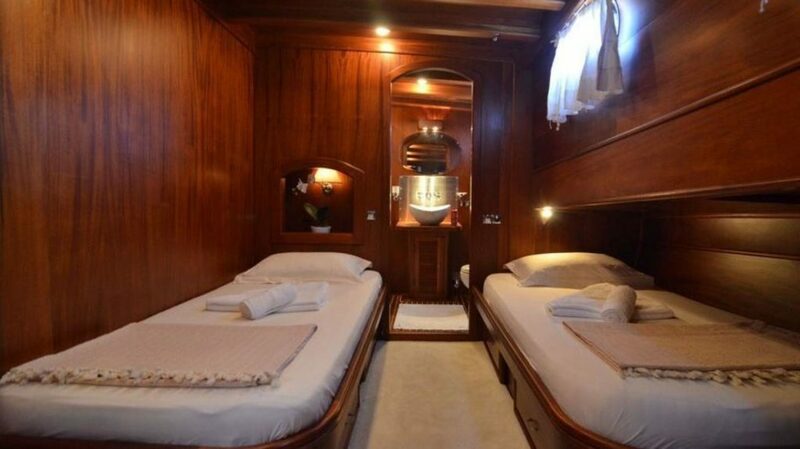 2 cabins with one double bed. 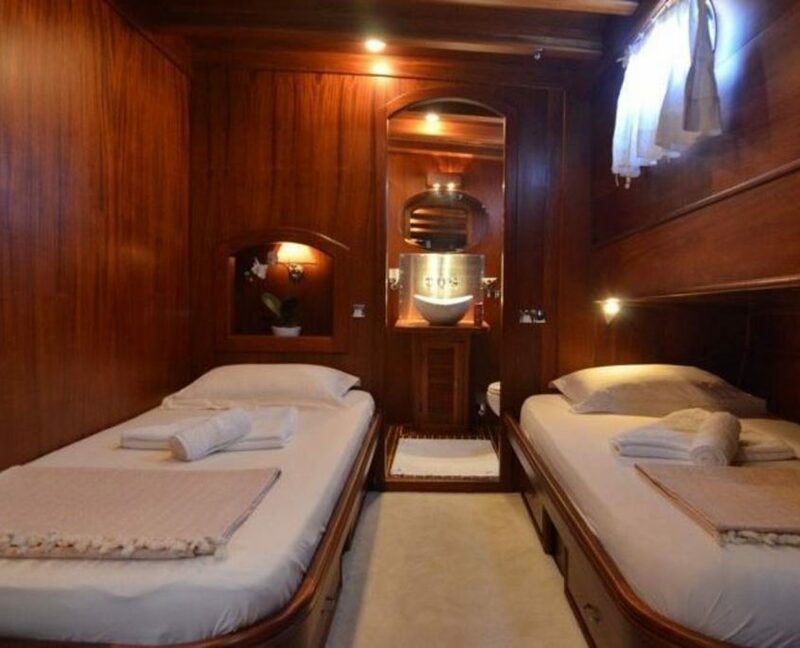 2 of the cabins with separate lower single beds (twin). 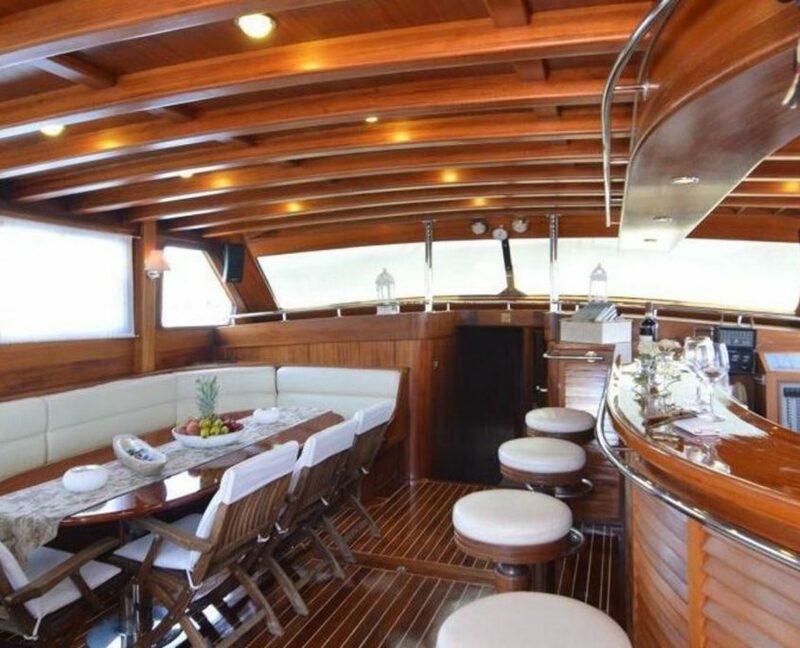 Large salon with dining facilities and bar. 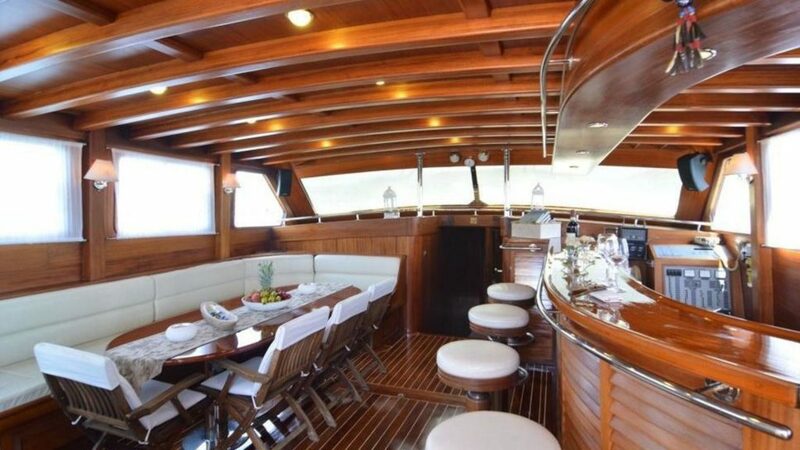 Fully equipped separate galley. 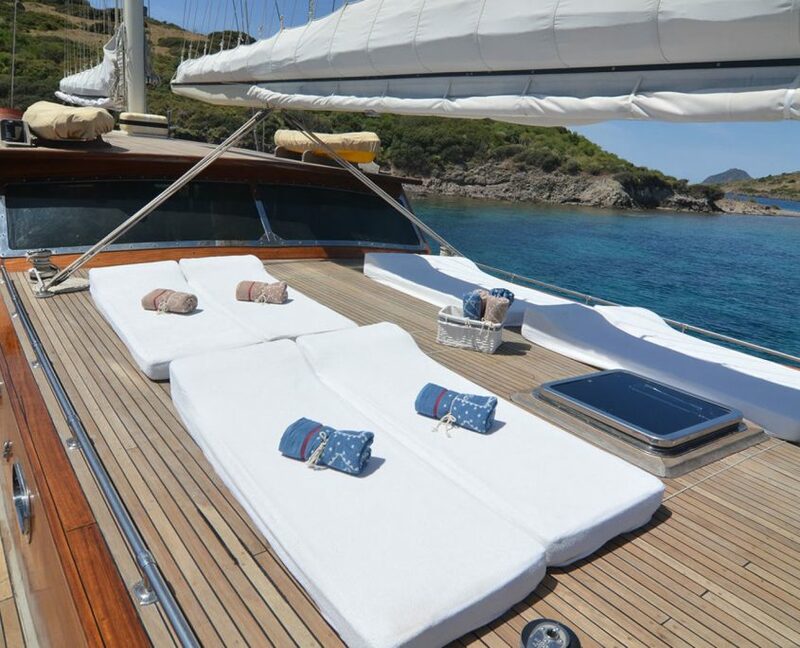 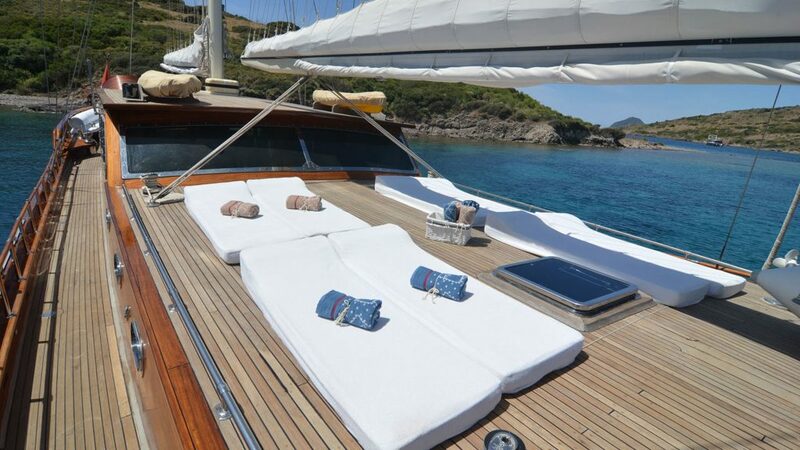 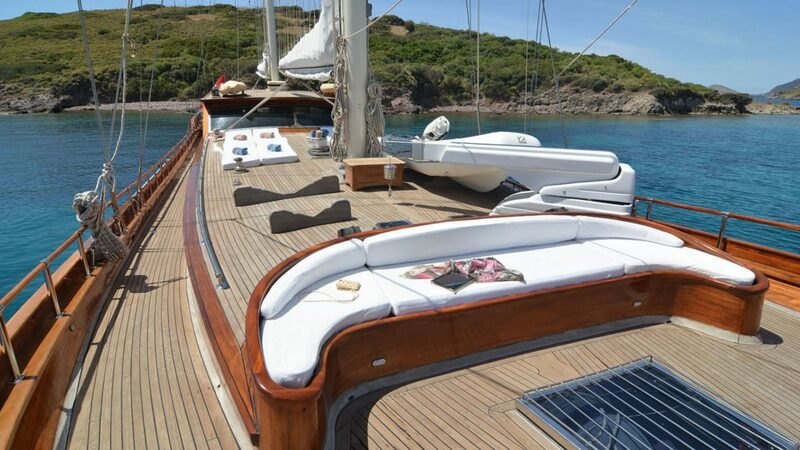 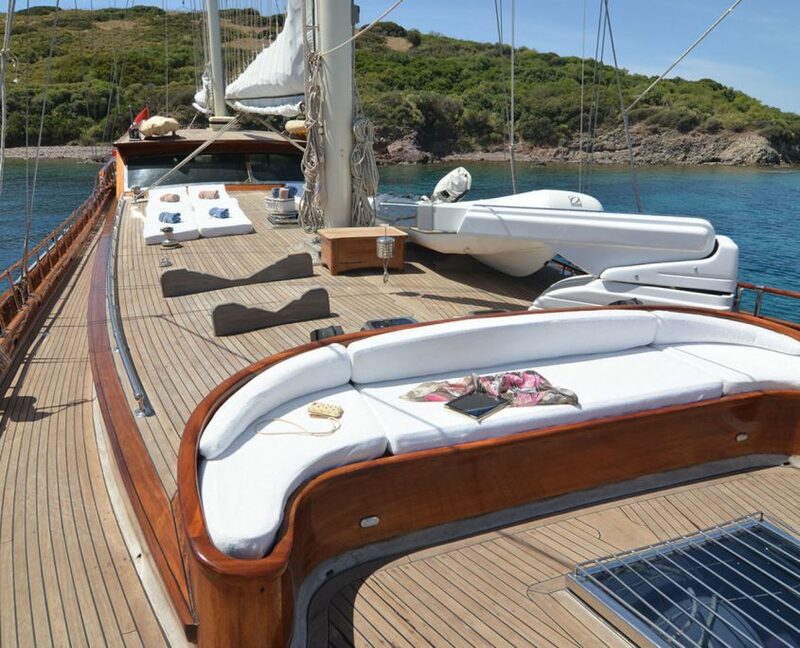 Very spacious sun deck with sun mattresses. 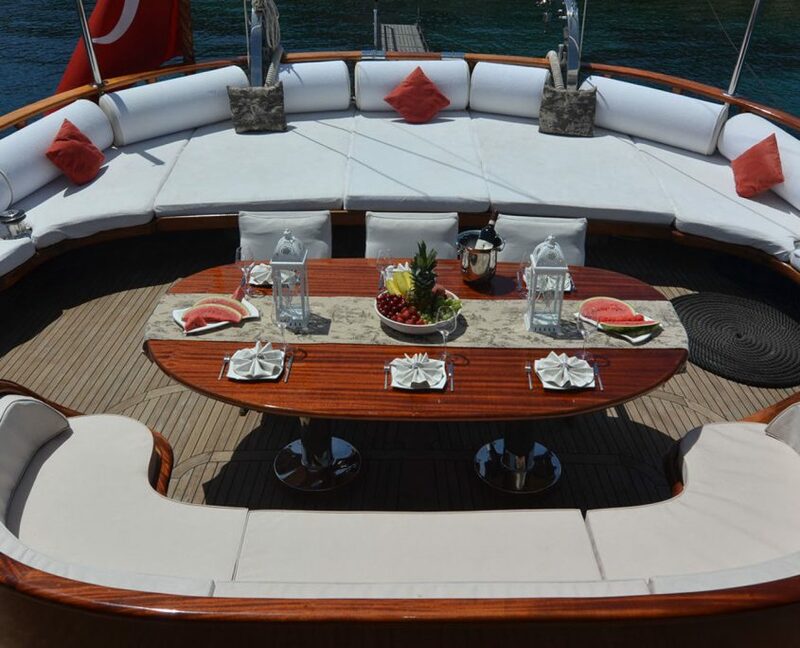 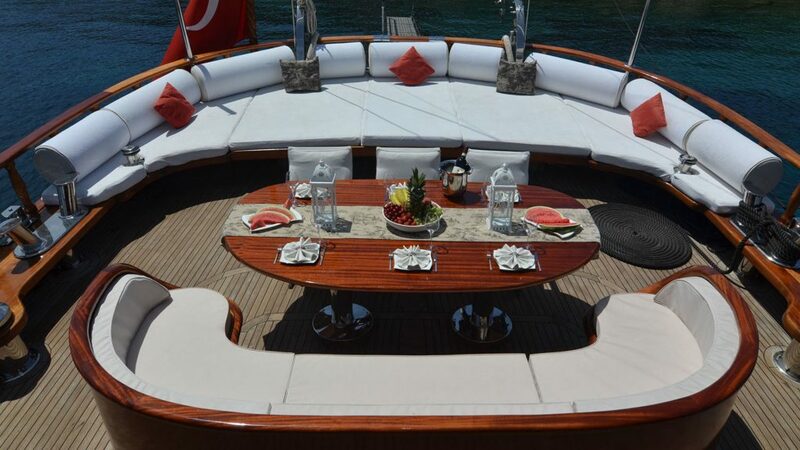 Cushioned aft deck outdoor dining facilities. 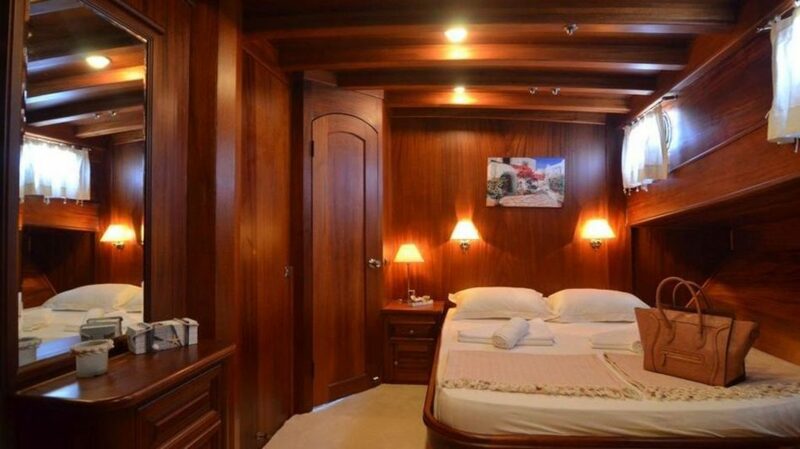 Separate crew quarters with their own shower/wc. 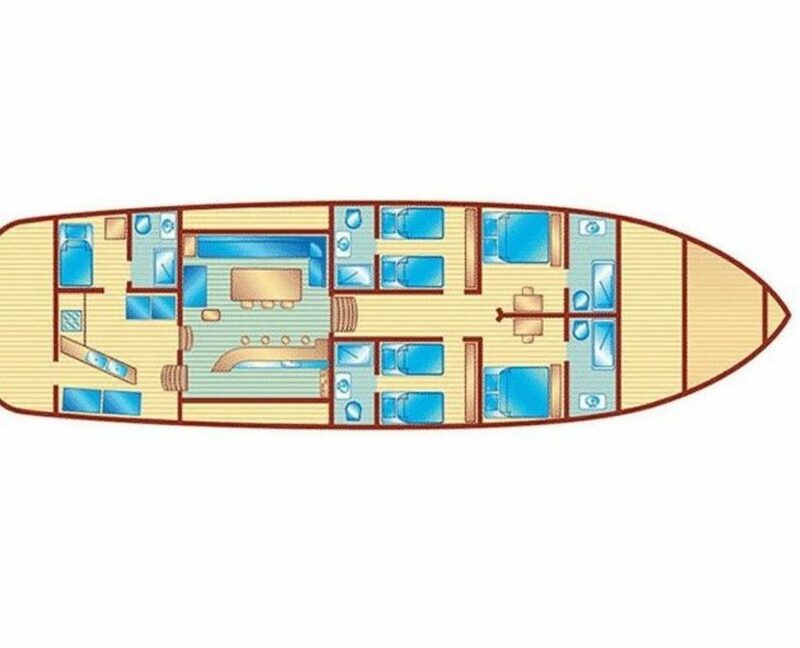 Marine Air-conditioning and Heating System at every cabin with individual control, Sun Mattresses, Sun Awnings, Deck Chairs, Sea Ladder, Deep Freezer, Refrigerator, Ice Cube Maker, Washing Machine, Onan Power Generators, Water Maker, Hot Water System, Mobile Telephone, Navigation Equipment, GPS, Sonar, Radar, Holding and Septic Tanks, Roller Furling Head Sail.